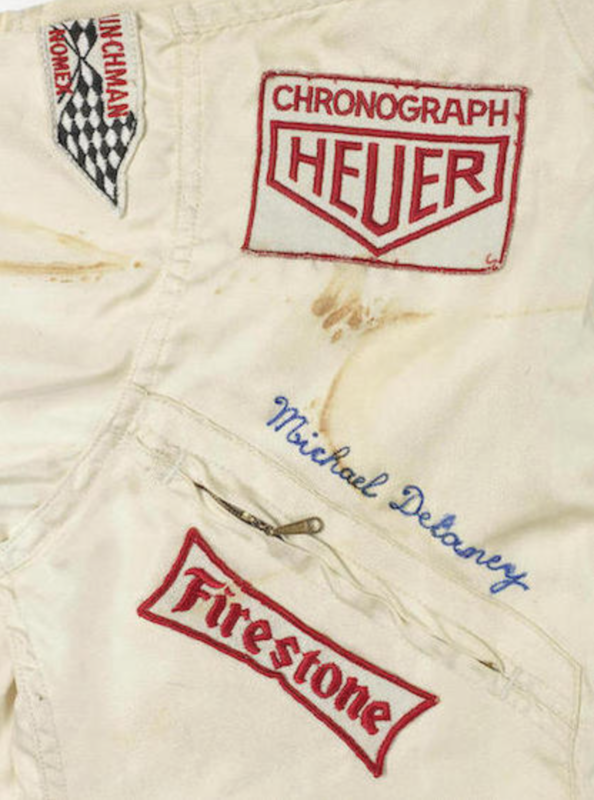 A complete costume comprising a Hinchman cream-colored racing jacket two piece race suit with distinctive orange and blue stripes on down the front and Gulf, Firestone, and Chronograph Heuer patches sewn on the chest and “Michael Delaney” embroidered in blue script on the right breast, a Hinchman Nomex patch on the right shoulder, a Gulf patch on the back, a faded area on the left sleeve where the American flag patch would have been fixed, a zipper down the center with Velcro fastenings to collar and waist and fitted elastic cuffs and possible areas of production simulated blood markings to the chest and right arm. 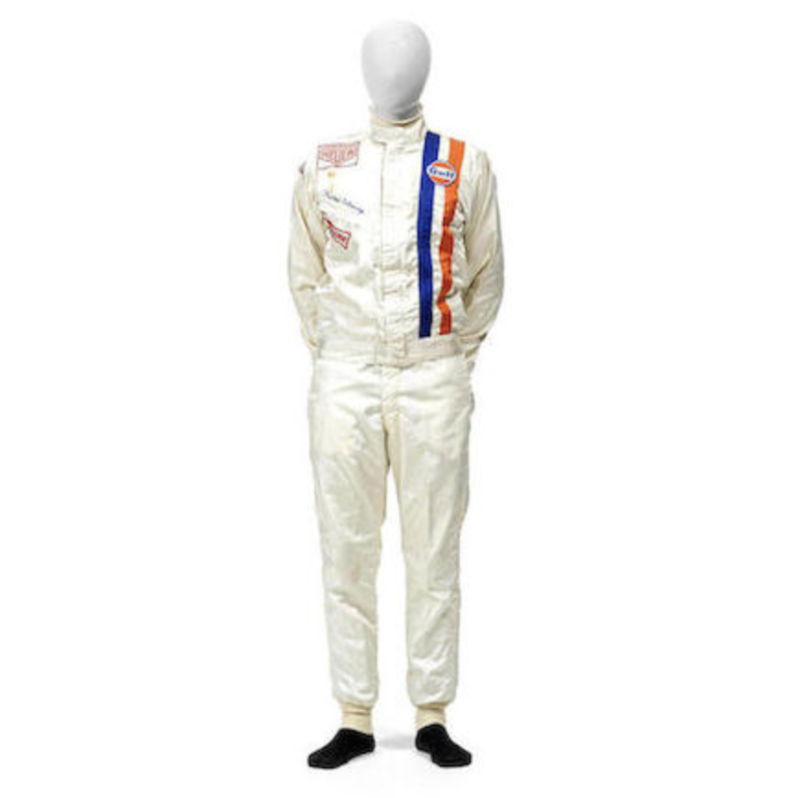 Together with matching cream-colored trousers and the original flame retardant undergarments including the visible protective cream turtleneck sweater, labelled “Atlas Flame Beater.” Accompanied by a copy of the film. 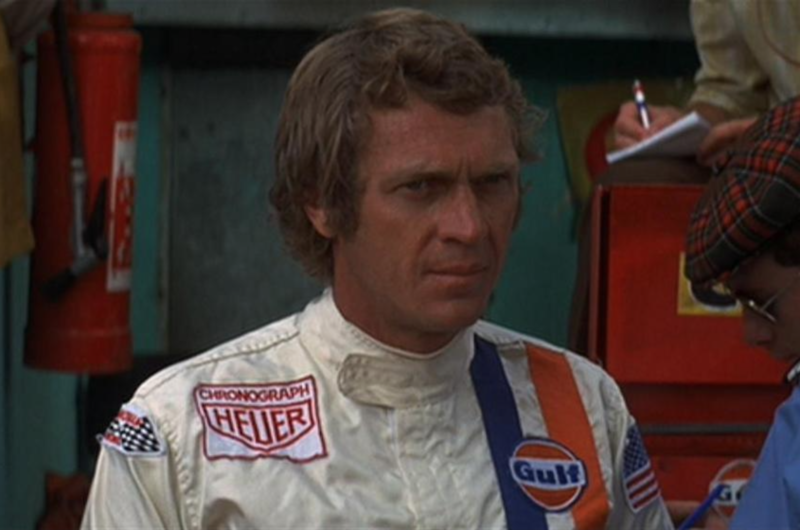 Provenance: Accompanied by a letter from the consignor stating that the costume was given to him by the head of Italian film production company Titanus once filming was complete. 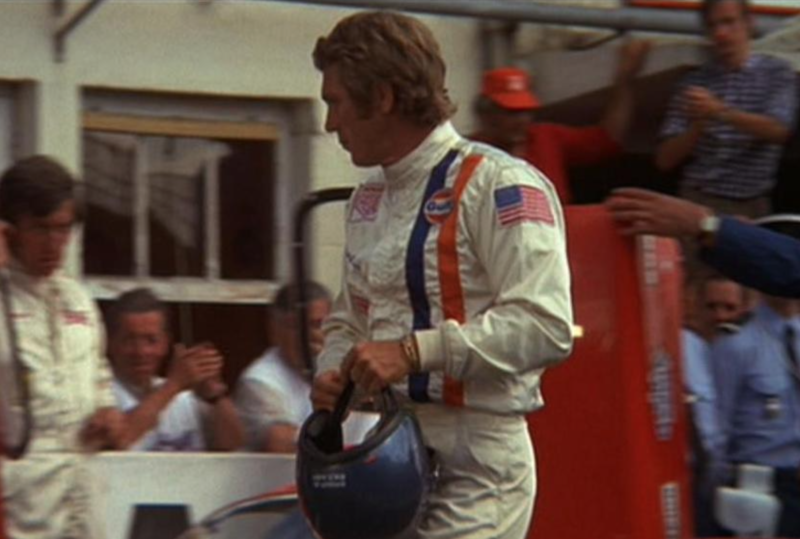 The consignor was the head of typography for a film poster printing company used by Titanus and his company produced the Italian posters for Le Mans. This lot and lot 246 have remained with the family in Italy ever since.